Trips to the Mouse- Disney Travel Agency You pack, we plan! 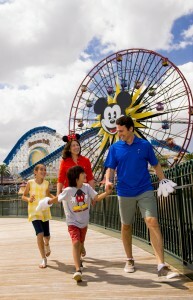 - Trips to the Mouse is a Disney travel agency. We meticulously plan amazing Disney vacations from Walt Disney World, Disneyland, the Disney Cruise Line, Aulani and Adventures by Disney. Stroll down Main Street, U.S.A., where Walt Disney’s original vision still captures your heart and transports you to faraway places you could only dream about. Halfway between Walt Disney World and Disneyland, Trips to the Mouse was born in Austin, Texas. Trips To The Mouse specializes in selling and planning Disney vacations. We plan trips to Walt Disney World, Disneyland, Disney Cruise Line, Aulani, and Adventures by Disney. We also offer our clients services beyond those destinations. 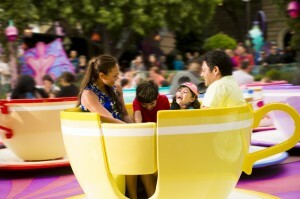 Planning any vacation can be overwhelming but planning a Disney vacation can be a full time job. There are many sites out there with tips and tricks and promising the best deal around. We help you by doing the work for you. You can truly sit back and enjoy your Disney vacation. Every trip we plan is customized to meet your individual family’s needs. Families have different needs and wants, it only makes sense to have a travel agent that understands this and creates a story for you that is as unique as your family is. We help you decide which Disney destination, which Disney resort, what dining options and vacation options are ideal for your family. We handle everything from booking your Disney resort to making your Disney dining reservations. You have a direct phone number for your travel agent and can reach them at your convenience.Whether this is your first trip, or your hundredth trip, we can help create your perfect Disney vacation! Before you travel, you receive a custom itinerary with all the tips you need for a magical vacation. You don’t have to research a single thing and you never reach a call center. You have a direct phone number for your travel agent and can reach them at your convenience. Let us handle your Disney vacation planning , You pack, we plan! With its two Disney Theme Parks—Disneyland® Park and Disney California Adventure® Park, three resort hotels and an energetic entertainment, dining and shopping district, the Disneyland® Resort is one of the premier vacation destinations on the West Coast. In Disneyland® Park, stroll down Main Street, U.S.A., where Walt Disney’s original vision still captures your heart and transports you to faraway places you could only dream about. 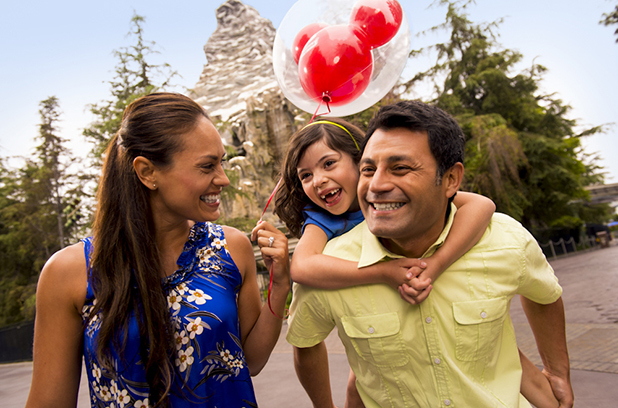 Embrace world-famous classics like “it’s a small world,” the slicked icy slopes of the Matterhorn Bobsleds, and those beloved Disney Characters you’re never too old to hug. Then blast off into the Star Wars™ universe on over 50 possible 3-D adventures aboard Star Tours—The Adventures Continue. And rock your world with Mickey’s Soundsational Parade and thrilling fireworks that explode the night sky. Explore the newly expanded Disney California Adventure® Park where Buena Vista Street welcomes you to the 1920s when inspired young filmmaker Walt Disney first arrived in Los Angeles. Now get ready to rev your engines because that’s the town of Radiator Springs you see rising up on the horizon. You’ll be floored in the 12-acre Cars Land where the Disney•Pixar’s hit movie Cars comes to life with high-octane attractions, dining and shopping. It’s a one-of-a-kind Disney experience! And there’s much more to discover in eight themed lands including The Little Mermaid~Ariel’s Undersea Adventure and World of Color nighttime water spectacular. The Twilight Zone® is a registered trademark of CBS, Inc. and is used with permission pursuant to a licensing agreement from CBS, Inc. © Disney/CBS, Inc.